Welcome this end table into your home, and add a splash of contemporary style to your living room. With its white marble top and powder coated iron base, this piece blends two complementary materials to create an intriguing, two-toned design. Its criss-crossing table supports bring some pizzazz to its silhouette too, ensuring this end table provides your decor with unmatched personality. 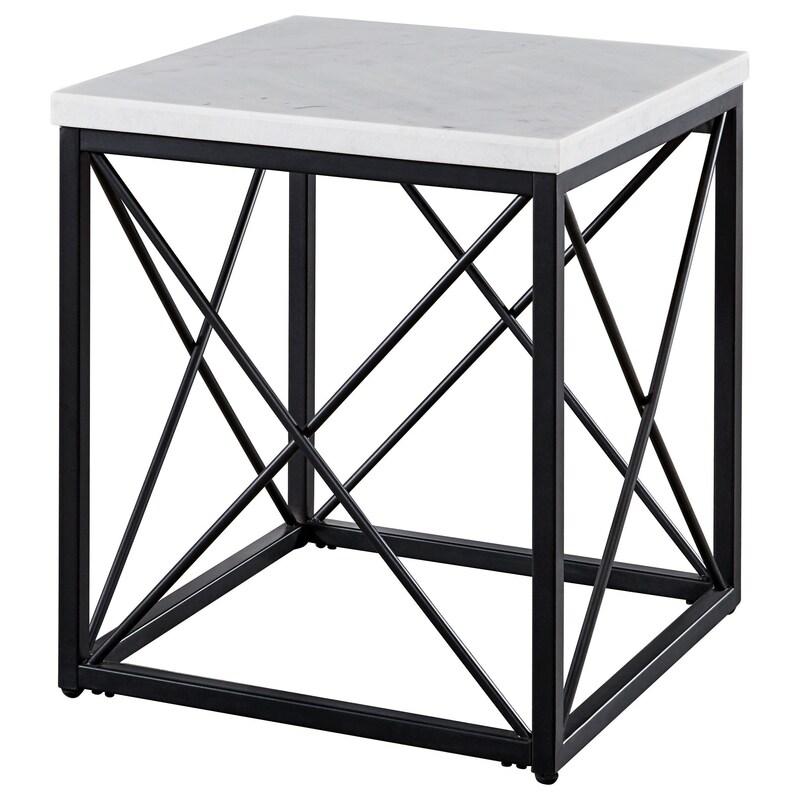 The Salter Contemporary White Marble Top Square End Table at Morris Home in the Dayton, Cincinnati, Columbus, Ohio, Northern Kentucky area. Product availability may vary. Contact us for the most current availability on this product. Ensure your living room is as stylish and functional as it can be with this collection of occasional tables. With their white marble tops and textured metal bases, these mixed media pieces utilize the modern materials you want in your decor. 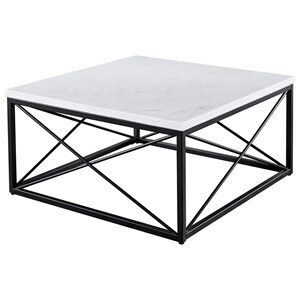 Plus, their X-shaped table supports add some contemporary flair to their silhouettes, providing your home with on trend table space you're sure to enjoy. The Salter collection is a great option if you are looking for Contemporary furniture in the Dayton, Cincinnati, Columbus, Ohio, Northern Kentucky area. Browse other items in the Salter collection from Morris Home in the Dayton, Cincinnati, Columbus, Ohio, Northern Kentucky area.